Wise quotes help you learn from others not only of this generation but also going back in time. There is an old saying that a proverb is a short sentence based on long experience. Wisdom comes to a human through years of experience. Great men and women have left words of wisdom for everyone to make this world a better place to live, yet it often requires that you trudge your own path to find your own wisdom. 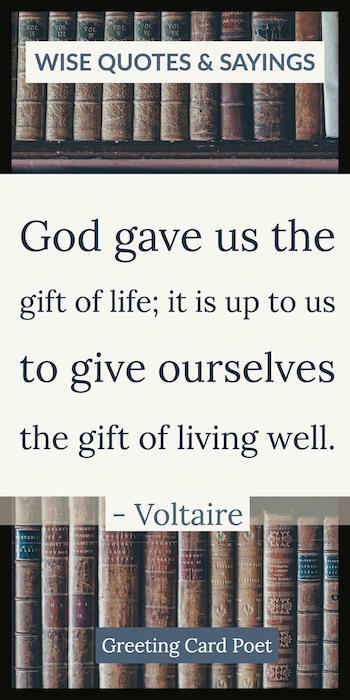 This is perhaps because despite of all the wisdom of this world in the works of great men and women, no one could ever define the purpose of life. It is something that you will have to discover for yourself. Here are some of the most beautiful wise quotes that can help you in your journey to guide your life and discover its purpose. These are the words of great people who made a huge difference to other’s and their own lives. He who has a ‘why’ to live can bear almost any how. When what you hear and what you see don’t match, trust your eyes. My philosophy is it’s none of my business what people say of me and think of me. I am what I am, and I do what I do. I expect nothing and accept everything. And it makes life so much easier. Every man is a creature of the age in which he lives and few are able to raise themselves above the ideas of the time. Life is a constant process of dying. No matter how many plans you make or how much in control you are, life is always winging it. 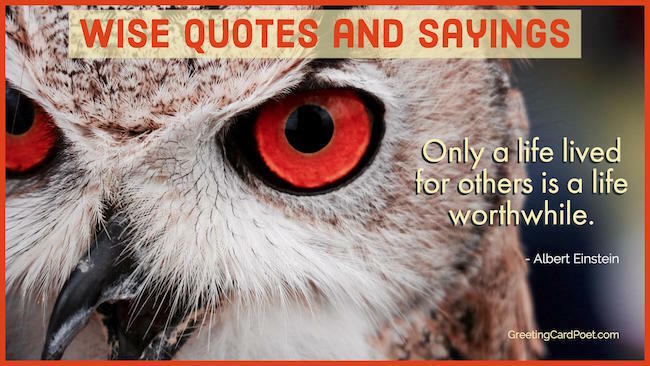 Note: If you have other wise quotes to share, please let us know via the contact page. Thanks. Tip: Some of these wise quotes may make great photography captions in social media platforms like Instagram and Facebook. Be wise today so you don’t cry tomorrow. A crown’s no cure for a headache. Stay low, stay quiet, keep it simple, don’t expect too much, enjoy what you have. You’re on Wise Quotes and Sayings.